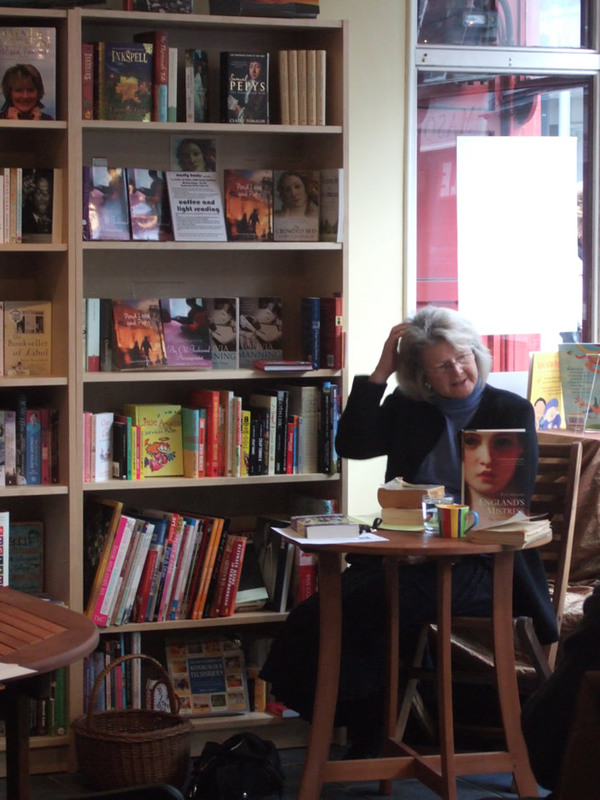 On Wednesday morning we had the first of our Coffee and Light Reading events, and were delighted to welcome Susie Vereker, author of Pond Lane and Paris and An Old-Fashioned Arrangement. We were a bit worried when we woke up yesterday morning to Abingdon in the snow, and unfortunately a few people couldn't make the event. Susie bravely battled through snow, ice and - most challenging of all - the roadworks on the A34, and was able to lead a discussion on the theme of Love & War, whilst everyone else warmed up with coffee and cake. Susie took us through a number of her favourite books to explore the theme. She began with Vera Brittain's Chronicle of Youth, her 1913-17 Great War diary, in which love and war are inextricably bound together. The Balkan Trilogy by Olivia Manning was - for someone with Susie's background as a diplomat's wife - particularly relevant. Apparently the FO recommended this book as a starting point to Brits being stationed in Romania after the war. Olivia Manning was felt to be a very underrated author - and Guy Pringle not the nicest husband in fiction! We then touched on The Pursuit of Love, Captain Correlli's Mandolin (where the film was felt to be better than the book, the opposite to The Balkan Trilogy), The Quiet American (again, of particular personal interest to Susie having been stationed in Thailand, interested in the history of Indo-China before the French were drummed out), Birdsong (felt to some extent to be a mirror image of Chronicle of Youth, where emotions are very much more controlled - there was some debate about whether Sebastian Faulks pulls off his ability to write from a woman's point of view). 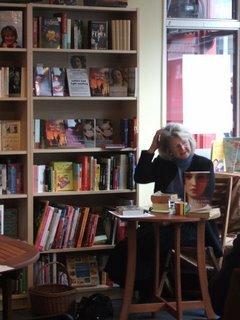 Finally, Susie introduced us to The Past Is Myself by Christabel Bielenberg, and Mary Wesley's The Camomile Lawn got an honorable mention right at the end. It was an excellent discussion, offering up a lot of debate, and a theme Nicki and I may return to in another morning event. I think what we particularly appreciated was the opportunity to be reminded of books - some we may not have read for years - which can be dug out, dusted off and added to our book piles. Susie was also able to sign some copies of her own books. It was a great start to our series, and we're immensely greateful to susie for coming along. 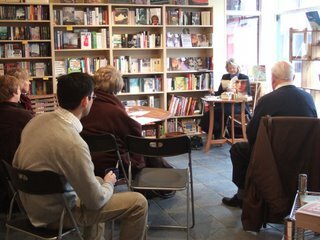 We look forward to next Wednesday, where Mary Cavanagh will lead a discussion on the theme of love in old age. I enjoyed the morning very much - an interesting discussion. Thank you for inviting me. Oh do the people of Abingdon know HOW LUCKY THEY ARE!This sounds like an event I would have loved and I'd be front row for Mary Cavanagh's too.The best we can hope for is another great review of it on here, some more pics, a little button to push on my laptop and a piece of cake popping out and meanwhile the house is going up for sale, we're moving to a tent in Abingdon, I can't stand it any more.